A temporary closure notice will operate from 25/02 to 28/02 with full closure lasting 24 hours. 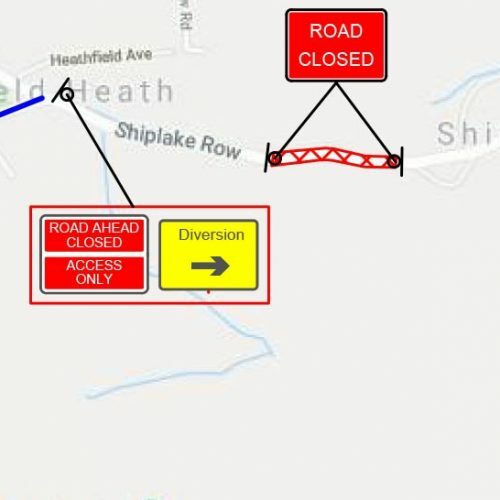 Access will be maintained for emergency services and frontages within the closure area. A drawing showing the extent of the closure is shown below. Further information may be obtained from Shanell Simpson of Thames Water on 02035 779050.